With so many maid cafes in Tokyo it can be hard to pick just one to visit if you’re pressed for time and on a tight itinerary. 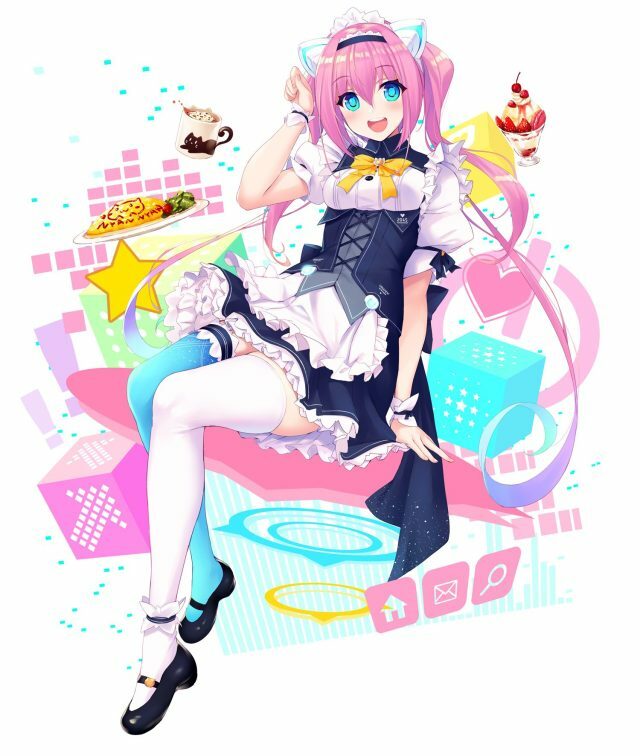 Now, though, the choice is easy, as Japan’s most popular maid cafe, Akiba Zettai Ryoiki, has just opened their fourth branch in Akihabara, and this one boasts a cyberpunk-kawaii fusion theme that combines the world of maids with the future. 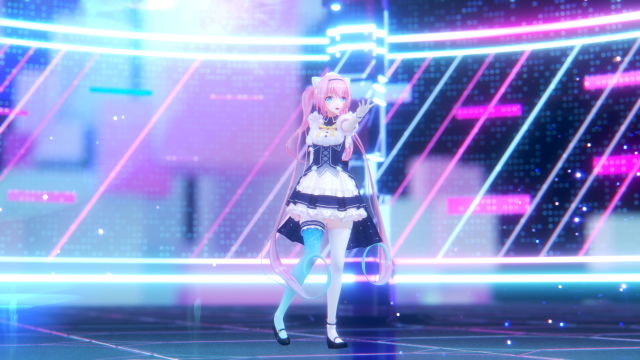 ▼ Akiba Zettai Ryoiki A.D. 2045 opened on March 14. 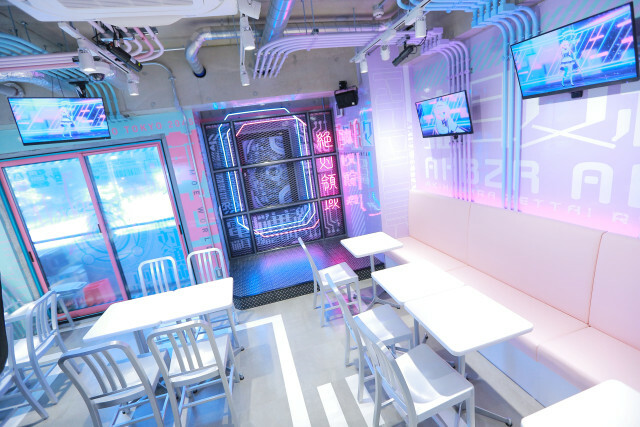 The new cafe aims to capture Akihabara’s techno-cool image in its design, taking inspiration from futuristic films like "Ghost in the Shell," "Blade Runner," "Neon Genesis Evangelion" and "Super Dimension Fortress Macross." Akiba Zettai enlisted the help of Japanese illustrators to bring the cafe together, using their talents to create the artwork on the menu, crockery, and interior wall markings. “Zettai Ryoiki” translates to “absolute territory” and is used to refer to the exposed thigh area between skirt and thigh-high stocking. Like their other branches, the maids here are dressed to show off this “absolute territory”, with these outfits designed by illustrator Ryosuke Fukai. ▼ Fukai also created the cafe’s original mascot character, Nia Shinomiya. ▼ Character modeller Pompucho gives life to Nia as a CG character. ▼ Greeting visitors outside the cafe is a neon sign designed by Tatsumi Tsurushima, featuring a logo by Ryo Hiiragi. 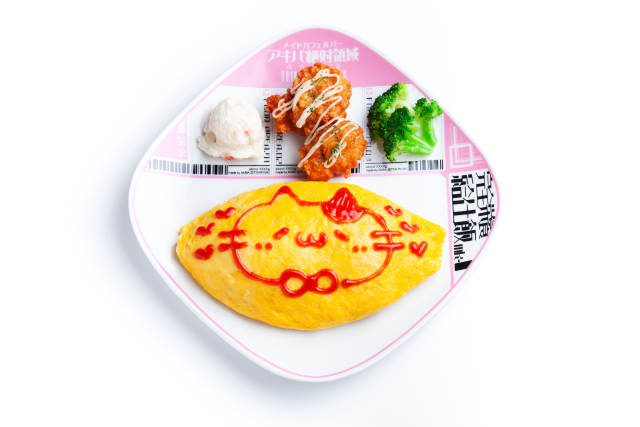 The cyberpunk theme extends to the menu, which includes meals like the Omurice Plate (1,450 yen), designed to look like a dystopian meal from a maid cafe in the future. 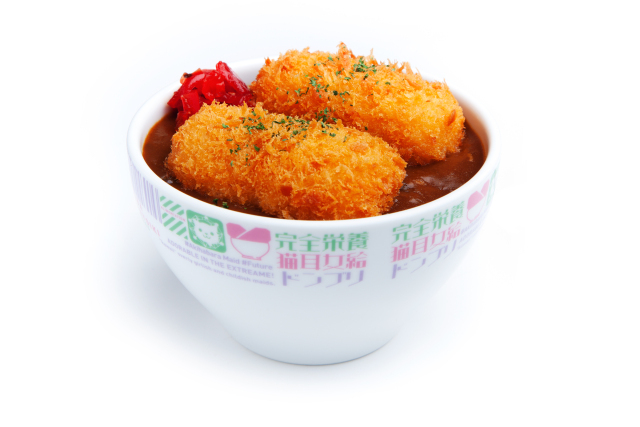 And an Energy Bowl containing rice and cream croquettes (1,300 yen), which is said to resemble the junk meals enjoyed by characters at food stalls in the cyberpunk genre. 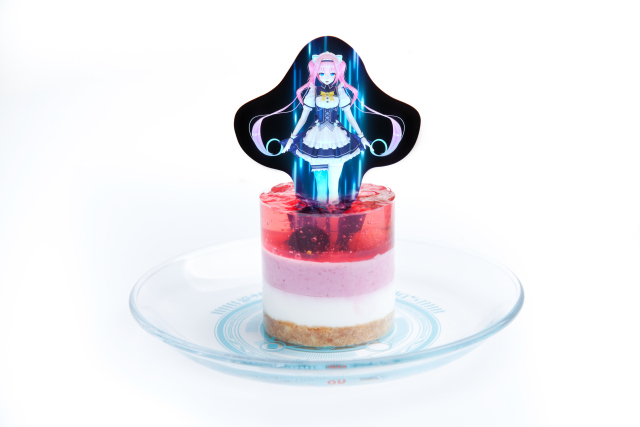 ...and the Bride-Summoning Cake (800 yen), which features Nia, who has been summoned up through the magic summoning circle printed on the plate. 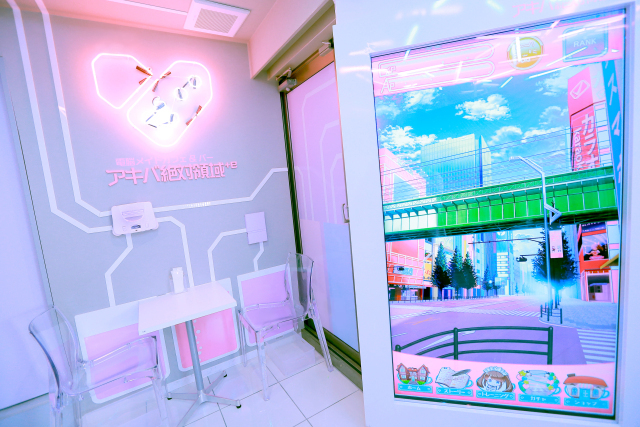 The hologram is a first for Akihabara, and fits in nicely with the cyberpunk theme of the cafe. 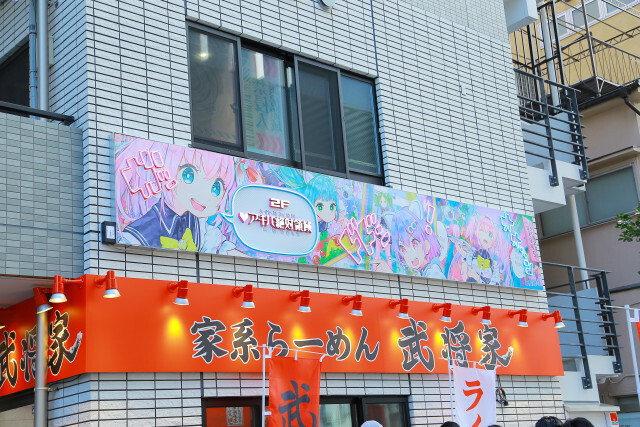 To find out more about Akiba Zettai, you can visit their website or jump over here, where you can read all about their Maid Cafe Winery, which opened last year. -- Looking for a job in Japan? New “Sugoi Kawaii” maid cafe in Akihabara now hiring foreigners! Good grief, what ever next? next some one will invent or open a coffee shop where you can get a normal cup of coffee. Cool concept! I wish there was a cyberpunk anything near us. Those pics are of nothing even close to "cyberpunk." What's "punk" about it? Punk are rebels, maids aren't. Cyberpunks are off the radar of the corporate police-state. And the theme of cyberpunk is "what makes a human a human?" and "where is the line between sentient and non-sentient" and "is it possible to be more human than a human?" etc. 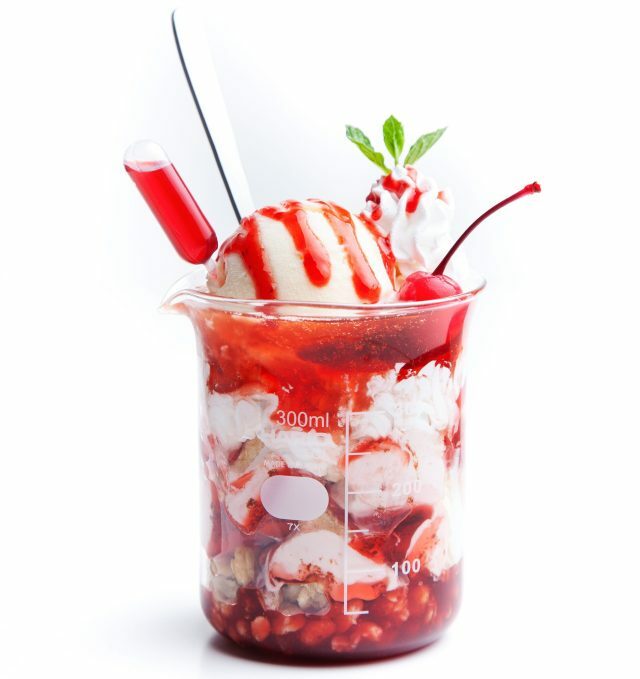 Try to evoke all that in a parfait. Omurice Plate (1,450 yen), designed to look like a dystopian meal from a maid cafe in the future. Dystopian? It looks like a contemporary child's menu item at Denny's.